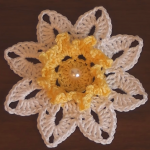 Hello flower and crochet lovers around the world!!! 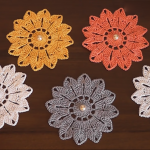 Today we have an exclusive video tutorial for you. 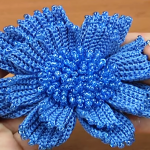 We hope you will enjoy watching this excellent video tutorial and master this super easy and fast beautiful flower. 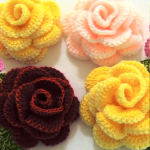 As you see on presented pictures these flower look adorable and versatile. 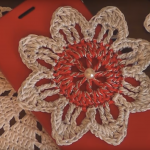 You can use them to decorate accessories, such as scarfs, bags, hats and so on. 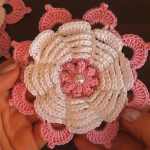 Use your fantasy and imagination and start crocheting this lovely flower right now. It is not difficult. Its design is very interesting, you can choose and combine your favorite colors. 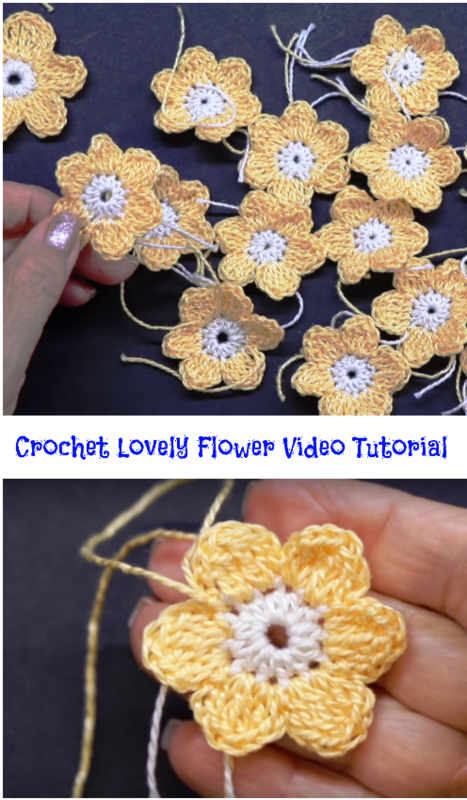 The video instruction is perfect to watch and every step is shown clearly. Good luck!! !